Liquid Ring Vacuum Pump in Salt Production Process- Vacuum Pump - EVP Vacuum Solution! EVP vacuum pump manufacturers focus on vacuum pump research and development, production and provide perfect vacuum system solutions, have served with the world’s top 500 enterprises and well-known Chinese institutions of higher learning and laboratories, EVP vacuum pump products sell well all over the country, is currently China’s leading brand in the field of aerospace, pharmaceuticals, medical, salt mining, nuclear industry. Salt making process is to evaporate, crystallize, dehydrate and dry brine into finished salt. The main processes are brine preparation and treatment, evaporation and crystallization, dehydration and drying, packaging and storage. In the process of salt making, due to the influence of raw materials, energy and other factors, different manufacturers adopt different methods in choosing salt making process. A good salt production process plays a decisive role in production. However, the completion of process parameters and production targets must be achieved by a series of mechanical equipment in the process flow. Mechanical equipment plays a very important role in the completion of process requirements. After starting the vacuum system, the whole operation process can be fully automatic controlled. In the work, the vacuum degree (i.e. the average distribution of vacuum thinning degree) in the vacuum system always fluctuates up and down in its allowable range, and its fluctuation range can be adjusted according to user’s requirements. 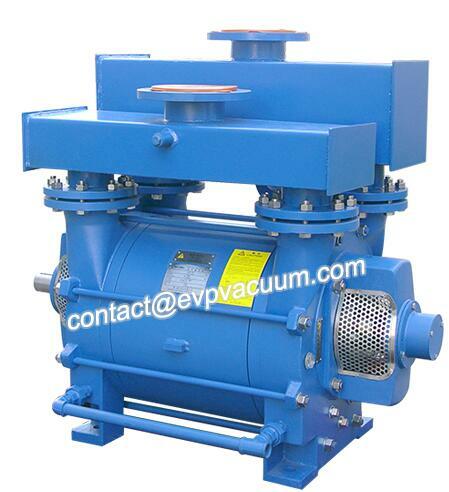 Using screw vacuum pump, Roots vacuum pump, rotary vane vacuum pump and liquid ring vacuum pump vacuum system can achieve the best process. When the first vacuum pump fails to reach the required vacuum after starting, the second vacuum pump starts to reach the set vacuum value. When the required set value is reached, the first vacuum pump stops and the second vacuum pump stops circulating. The vacuum system of our company can automatically control the system without operation, and automatically close the vacuum system when power failure occurs. At the same time, the control box can protect the vacuum pump motor from overload and short circuit. Only when the vacuum system plays a real role, can the efficiency of salt production process be improved, and the real energy saving and consumption reduction be achieved.